2. 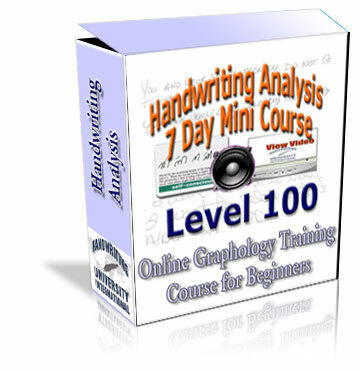 Specials: Get certified as a Handwriting Analyst! 4. Contact Us: We'd love to hear from you, give us a call with your questions, comments and concerns. "Success Through the Stroke of a Pen "
Did you know that John Hancock's birthday is in January? Our best research indicates he was born on January 23rd. So, handwriting analysts worldwide (and the media) have designated January 21st-27th as National Handwriting Week. Did you know that each day hundreds of people around the world start using "Grapho-Therapy" to change their own life? People interested in changing their own life are starting by changing their own handwriting to effect their own belief systems and change their personality. Bart's latest book and his workbooks for kids and adults are part of the reason for the excitement. The old saying goes ""Mind your p's and q's." It could mean the difference between success and financial struggle... or should it actually be "t-bars and y-loops?" Special attention is drawn to Baggett's works each year during National Handwriting Week January 21st - 27th this year, which marks John Hancock's Birthday (Jan 23rd). National Handwriting Week focuses attention on the benefits of handwriting analysis and its use as an important tool in business, education, social relationships, and even self-help. Hancock's handwriting and that of other American heroes may offer lessons of character and untapped achievement. Baggett explains the "success traits" found in the handwriting of people like Michael J. Fox, Martin Luther King, John Glenn, Michael Jordon, and Oprah Winfrey. You may recognize Baggett from his commentary on CNN and Court TV, relating to the psychological profiling of criminals and suspects such as Scott Peterson, the John Benet Ramsey case, the Washington Snipers, the Anthrax letters, and Timothy McVeigh. Baggett said in a recent Biography Magazine feature interview, "It is inspiring to look up to men and women who have accomplished great things. America loves heroes. However, most of us don't really believe we can accomplish what they accomplish. My approach is to inspire people to be more like their hero's character. It is the personality, beliefs, and values that moved the person to achieve great things. We can teach our kids how to build great character. From that, people will do great things." "I have researched the handwriting of thousands of successful people around the world and the success traits are extremely consistent," said Baggett. "The traits are easy to spot once you learn them, and what's even more exciting is you can actually program your own handwriting to include the success traits and see positive differences in your life." One title, called "How You Can Analyze Handwriting in Ten Minutes or Less" is designed to walk a total novice through the basic steps to get an accurate, although not in-depth, analysis from a sample of writing, using a deck of Handwriting Flash Cards called The Grapho-Deck. Baggett's programs have become so popular, over 100,000 people have taken his free online personality test called The Handwriting Wizard. Also, thousands have taken the online Handwriting Analysis basic course, with audio and video elements that can be downloaded onto your MP3 player, or played on your computer. "The trick to helping the average person get value from handwriting analysis is the ability to make this 'psychological profiling method' easy to understand and entertaining to learn," said Baggett. The science is what the stroke indicates based on research. The art is being able to communicate that personality trait to the person and describe the corresponding behavior accurately. Handwriting isn't just an American trend. 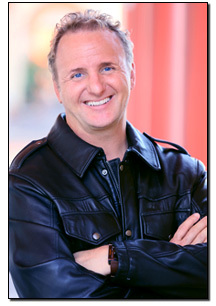 This topic of personality profiling and self-improvement even has an audience halfway around the world in India, where Baggett delivered his seminar "Handwriting Success Secrets" live to thousands of enthusiastic Indians in Bombay, New Delhi, and Bangalore. Currently, his home study course and The Grapho-Deck have been translated into Chinese and are being distributed throughout Asia through his franchise in Taiwan. "When I explain the many benefits of the science of handwriting analysis, people line up to learn it. Anyone interested in self-improvement, psychology, or improving their relationships will naturally find the concept intriguing," Baggett said. He went on to say, "Of all the ways to understand yourself, this one is the most personal. You can't help but wonder what your handwriting reveals." Biography Magazine and Family Life Magazine recently ran articles featuring Baggett and explaining how kids are changing their own handwriting to improve not only their legibility, but to actually influence their personality. "Sure, Ryan's handwriting is a bit easier to read, but what really impressed us was his increased level of confidence and grades," said Craig Waton, Plantation Florida, father of 12-year-old Ryan Waton, who completed Bart Baggett's Handwriting Analysis Workbook for Kids. A number of teachers have reported noticeable improvements in attitude, concentration and confidence in students instructed using Baggett's methods. "I am very happy that I made this investment. I look forward to continuing my education with Handwriting University. The experience has been great, and enrolling in this program has been one of the smartest things I have ever done." "My Handwriting Analysis Course has had the biggest impact on my life... it was the start of a life transformation. My self-esteem, confidence, creativity, and speed of learning have been dramatically strengthened. The results were quick and permanent. Oh, thank you so much for sharing this information. I recommend it to people everywhere I go!" Changed her Y, Changed her life. After becoming a Certified Handwriting Expert.